Ed Baxter | Bloomberg Media Talent | Bloomberg L.P. 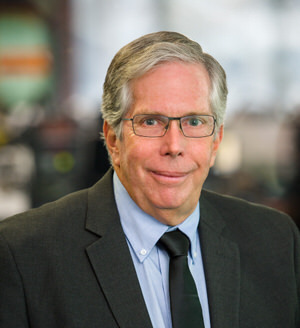 Award-winning journalist Ed Baxter can be heard on Bloomberg Best, featuring the best stories of the day from Bloomberg Radio and Bloomberg Television. Ed Baxter is a member of the Bay Area Radio Hall of Fame. Ed Baxter is a member of the Bay Area Radio Hall of Fame. He spent most of his career as Anchor/Host of the morning and afternoon news programs on KGO, San Francisco. He achieved over 30 years of number one ratings. Along the way he substituted for Paul Harvey on his News and Comment program which at the time was the world’s number one rated radio program. Baxter was his main substitute from 1993-2000. He has won over 50 national, regional and local awards for all facets of news. This includes winning the Edward R. Murrow award for best newscast in the country. Baxter has experience doing technology and consumer news on radio and TV as well as early career jobs in news, talk, and disc jockey in San Francisco, Los Angeles, San Diego and Atlanta. He and his family reside in the San Francisco Bay Area.